Worldwide distribution calls for regional support and service centers. 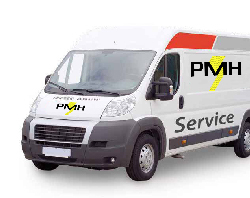 Should your local service require parts, overnight shipment can be obtained from the PMH distribution center in Orlando, FL. For crucial applications same day service is available / counter to counter at the local airport.